Are You Ready To Kick the Habit? Stop Smoking in as few as 3 hours! 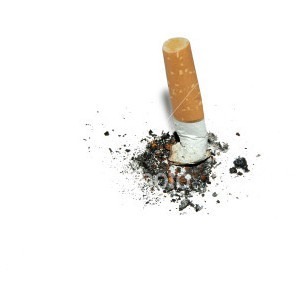 Hypnotherapy can help you stop smoking for good! We will work together to determine whether you will be most successful in addressing underlying emotions such as stress before beginning Smoking Cessation sessions or if you are ready to begin with a Smoking Cessation session. Most smokers who have quit smoking for more than 30 days on their own will stop smoking after the first (two-hour) session which will be followed up by a second session a week later designed to make the change permanent – that’s two sessions to freedom! Best of all, these two appointments will only cost approximately the same as 30 packs of cigarettes! Smokers who have not been able to quit on their own for 30 days or more may require up to 5 sessions, which often involves uncovering and addressing the subconscious desire to continue smoking. We will always discuss your personal approach at every step along the way and you will always be given choices as how you wish to proceed. It’s important to understand that this is a collaboration – we will always be working together in a way that is comfortable for you. The first Smoking Cessation session is always two hours long and will be tailored to address your specific triggers and will incorporate all your personal motives for wanting to be free of the smoking habit. Reinforcement sessions (if necessary) and the final session are typically one hour long. Invest in yourself and your future health. Breathe easier, feel more energetic, forget about the embarrassment of your clothes, hair, and breath smelling of smoke. Surprise yourself with amazing and permanent results – time after time my clients are delighted as to how easy it is. Find out for yourself! Call or text 747-514-1415 or use my contact form to schedule your free phone consultation so that together we can decide on the best approach for you. I have convenient evening and weekend hours as well as normal business hours Monday through Thursday.